t*rexes and tiaras: Friday Favourites 109..
Sod it, I'm jumping on that "IT'S AUTUMN!" bandwagon which everyone seems to be on this week. It doesn't take an awful lot to get me shopping for coats, being the world's biggest self-confessed coataholic, so a little miserable weather will do and here we are. 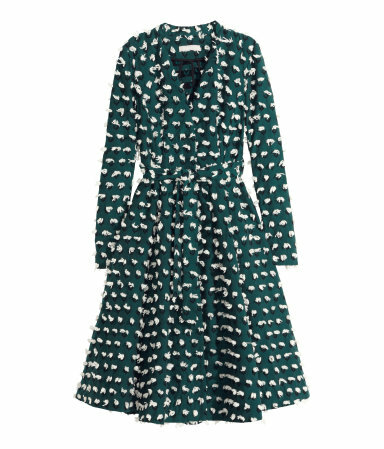 001: This coat is not only a cute shape for wearing over dresses (important when dresses are one of your wardrobe staples, like me) but is also made from some rather super-cute fabric. I think I'm in love. Plus, I don't even own any other coats in this colour, which I probably ought to take as a sign that I need it, right? I actually had a dream about getting a rail for my coat collection, so that I could display them all better. I'm odd. 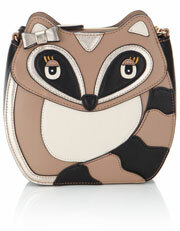 002: Always a fan of a quirky handbag, this racoon from Accessorize would be a welcome addition to my collection for Autumn. He's got an across-body strap and enough space for all of the essentials. And he's only little, so it'd be mean to leave him out in the big wide world to fend for himself. Have you started embracing Autumn / Winter trends yet? Got your eye on anything? I'd sort of forgotten about it but hving seen it again now, I'm all wanting it again!! Yup, you need to be buying that coat. Oh, I LOVE that Boden scalloped jacket - bet it looks so lovely on ! I love them as well - so many cute shaped bags! !